"The Really Hairy Scary Butterfly Rescue" won Honorable Mention in the Illustration Category at the 2011 Mohawk Valley Community College Alumni Art Show in Utica, NY! 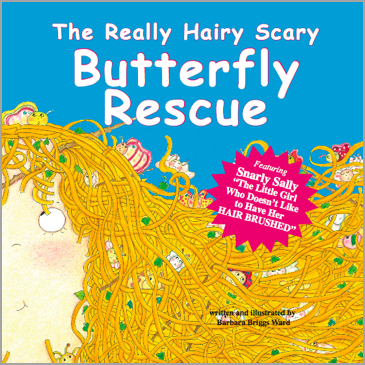 Snarly Sally’s 3rd Book “The Really Hairy Scary Butterfly Rescue” is now available to order here at snarlysally.com via PayPal! To order, click the “Add to Cart” button below, which will prompt you to check out. Thank you! Sally hates to have her mother fix her beautiful long hair, but when she lets it get all snarled, a passing kite gets caught in it and carries Sally and her dog Tangles away on an adventurous flight! 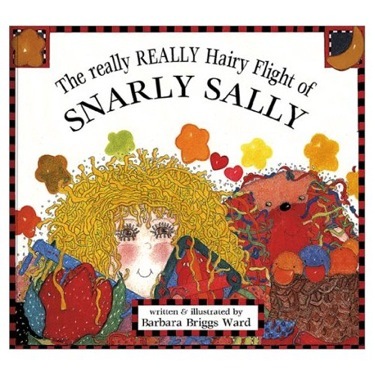 The Really Really Hairy Flight of Snarly Sally is currently for sale at Amazon.com or at Barnes & Noble.com. Snarly Sally and Tangles learn their letters. In Snarly Sally's garden, the ABC's are fun. There are birthday parties and balloons and space to jump and run! 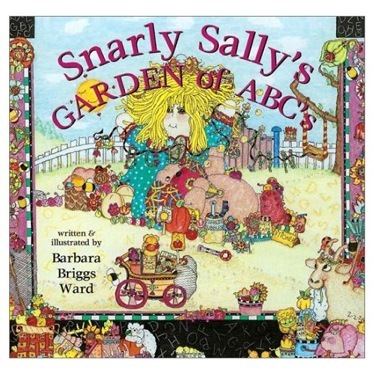 In this wonderful ABC book featuring Snarly Sally and her puppy Tangles, kids explore a bright garden of ABC's that come alive with Barbara Briggs Ward's full-colour original art and kid-appealing rhymes. Snarly Sally's Garden of ABC's can currently for sale at Amazon.com or at Barnes & Noble.com. To read reviews from on the Snarly Sally series, click here!